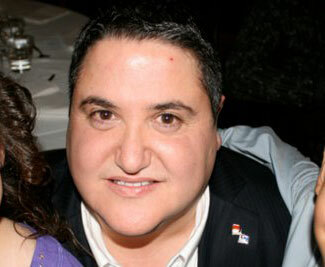 Believed to be the world’s first intersex mayor, Councillor Tony Briffa has been elected in Australia, winning in the City of Hobsons Bay in the suburbs of Melbourne at the end of November. Briffa is an independent Councillor whose focus has been on representing his community, community diversity and environmental issues. “I am excited about the future of our community and look forward to serving the city with enthusiasm and pride,” Briffa said following his election. LGBTI Health Alliance Board Member Gina Wilson says Briffa is inspiring. “Tony is an inspiration and a role model for a whole generation of intersex people, both those who have suffered early interventions and those who have come to their differences later in life,” Wilson said. An intersex person may have biological characteristics of both the male and the female sexes. Some people (whether physically intersex or not) do not identify themselves as either exclusively female or exclusively male. He was raised as a girl and was not told the truth about his condition until years later. “Years later I feel very comfortable having accepted my true nature. I am not male or female, but both,” he writes on his website.